A rare SFC title in the mould of such sublime titles as Demons Crest and Nosferatu with a twist of the graphical skills of the Actraiser teams. 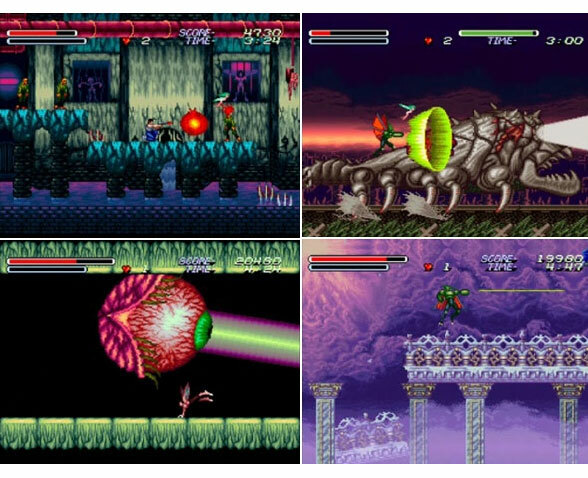 Some of the in-game assailants and bosses are more than a bit twisted looking like they just broke out of the Splatter House. The main hero can thankfully upgrade his skills as the supernatural bosses are dispatched - all the way up to the big hoedown with the Demon King. And these transformations help even if the concept of becoming a demon to beat them doesn't sit too nicely when surrounded by such creepy creatures.